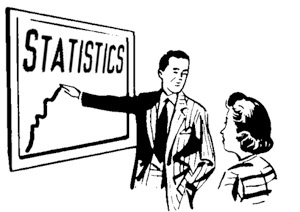 So you want a graduate degree in statistics? After six years of graduate school – two at UMass-Amherst (MS, statistics), and four more at Brown University (PhD, biostatistics) – I am finally done (I think). At this point, I have a few weeks left until my next challenge awaits, when I start a position at Skidmore College as an assistant professor in statistics this fall. While my memories are fresh, I figured it might be a useful task to share some advice that I have picked up over the last several years. Thus, here’s a multi-part series on the lessons, trials, and tribulations of statistics graduate programs, from an n = 1 (or 2) perspective. Trey’s thoughts on “Getting started in Data Science,” which covers several of the same themes touched upon in the articles above. Greg’s path to a graduate degree in statistics. In particular, I really liked the part about the difference between 25 year old Greg and 21 year old Greg.